Satisfy your shopping and dining cravings at nearby shopping malls Compass Point, Rivervale Mall and NEX. Families looking to enjoy outdoor activities will find their fun in the sun at Punggol Park, Punggol Waterway and Punggol Ranch. As part of the URA Draft Master Plan 2013, enhanced amenities and a better transport system will also be what you can expect when you stay in Jewel @ Buangkok. The cascading water walls and 50 metre Lap Pool at the dual level waterscape bring aquatic features to a whole new level. A first of its kind, Jewel @ Buangkok boasts six Thematic Outdoor Cabins that allow you to indulge in varied interests in the great outdoors – bringing your enjoyment into a whole new domain. The interiors are carefully designed to match modern family living. 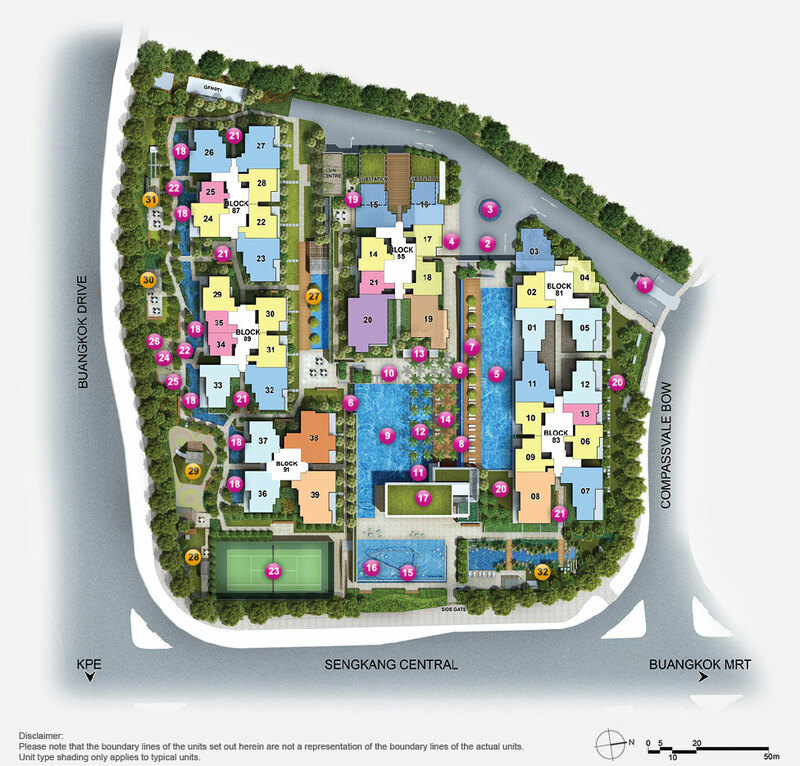 Choose from a wide range of exquisite 1- to 5-bedroom units, dual key units and exclusive penthouses. Having Buangkok MRT station a short walk away makes commuting a breeze, regardless of where you want to be. 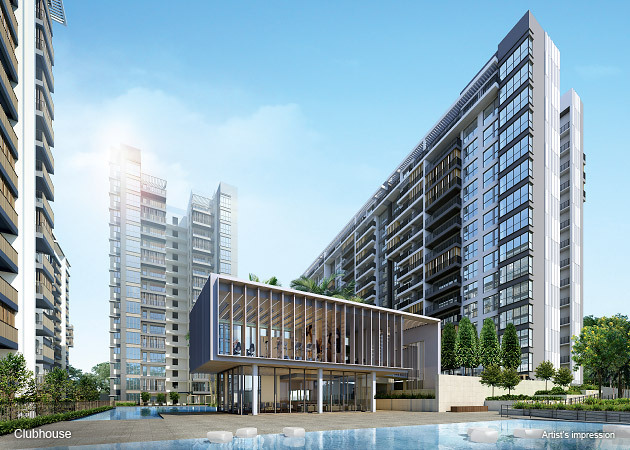 The area is also well served by the Central Expressway (CTE), Kallang-Paya Lebar Expressway (KPE) and Tampines Expressway (TPE). Load up your shopping bags or tuck into epicurean delights at Compass Point, Rivervale Mall and NEX, just minutes from your home. Be spoilt for choice with a selection from hundreds of premium shops and brands. Nature-lovers can take in the charming scenery at Punggol Park or discover wonderful floral and fauna at the Sengkang Floating Wetland. The Punggol Waterway and Punggol Ranch also offer great sporting options for fans of water sports and horse riding. 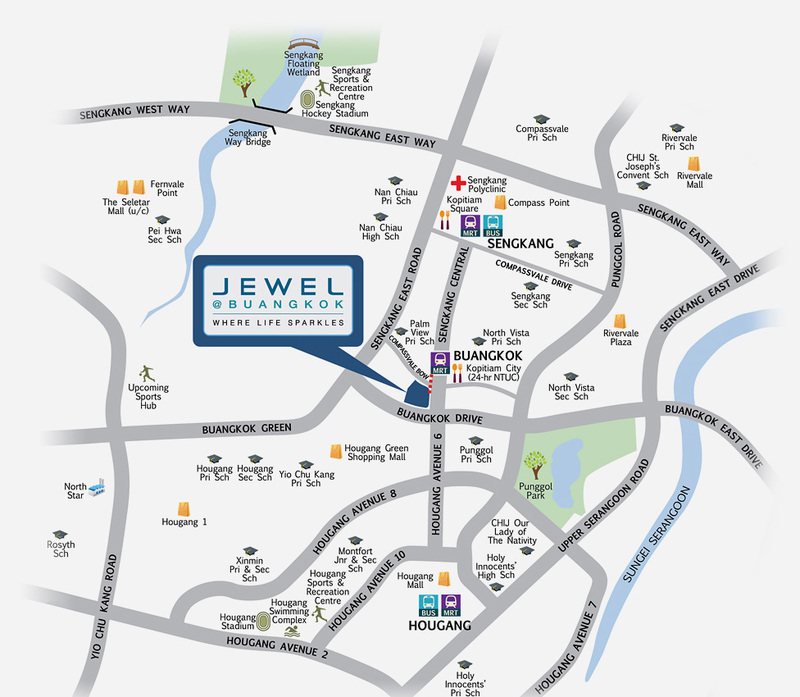 Besides better roads, the URA Draft Master Plan 2013 also brings a range of amenities to Sengkang and Hougang, adding vibrancy to your life at Jewel @ Buangkok. The Round Island Route, new interim sports facilities at the Jalan Kayu Sports Hub and the Cross Island Line are a few of many improvements you can look forward to in both towns. 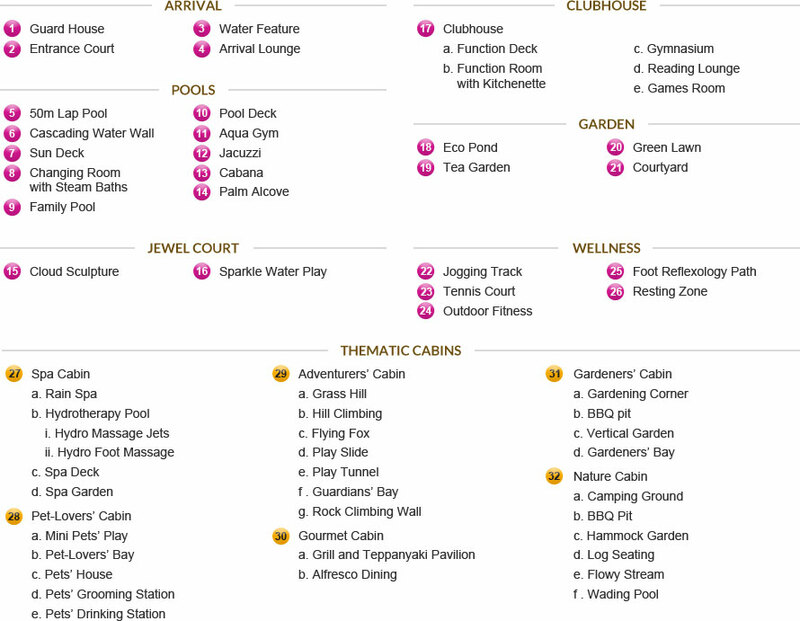 Explore new levels of relaxation and recreation with a delightful selection of pools and water features. Showcase your best timings at the 50 metre Lap Pool and relax in style in the Cabanas and Palm Alcove. Families can also create the biggest splash together at the Family Pool, equipped with an Aqua Gym and Jacuzzi. Selected units enjoy direct access to the pool. Begin or end your day at the Spa Cabin, where the Rain Spa and the Hydrotherapy Pool pamper and rejuvenate. Soak up the sun at the Gardeners’ Cabin as you stretch your green fingers and plant. Take your pets down for a stroll at the Pet-Lovers’ Cabin during the cooler times of the day. Be it trying new recipes or whipping out your favourite dishes, the Gourmet Cabin has everything you need to cook up a storm. Your little ones can find their share of excitement at the Adventurers’ Cabin with Flying Fox, Hill Climbing and other facilities available. Get closer to flora and fauna at the Nature Cabin, with your loved ones and serenity by your side. Featuring a wide range of exquisite 1- to 5-bedroom and dual key units for your selection, this is a perfect home to call your own. The contemporary design aesthetics have been crafted to match your modern lifestyle, forming a wonderful setting for pleasant days and sweet memories. Also available for your selection are exclusive penthouse units for truly magnificent living. Making home sweet home complete are stylish fittings, and quality finishes that grace every corner of your lovely home. In your spacious kitchen are premium homemaking appliances from Electrolux while your luxurious bathrooms are appointed with deluxe sanitary wares and fittings from Kohler and Crestial. Not to mention thoughtful touches throughout that heighten your enjoyment at home. For more information & prices on Jewel @ Buangkok condominium, simply fill up the contact form below and our sales personnel will get in touch with you shortly!